Think of former Manu Samoa player and Blues Coach, Pat Lam and you immediately conjure up images of one of the best comeback stories for a world-class coach. 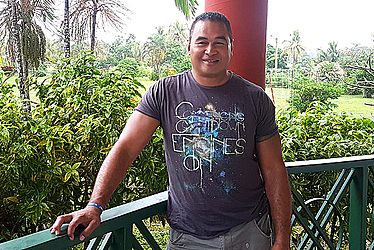 Pat Lam is in the motherland, after a seven-year hiatus, for a two-week family reunion and it could not have come at a better time for the head coach of the Bristol Bears in England. “It’s fantastic being back. It’s been so long but I really wanted to bring my family to the Lam reunion. Bringing my five kids back with us (and they come back quite often because my in-laws still live here). 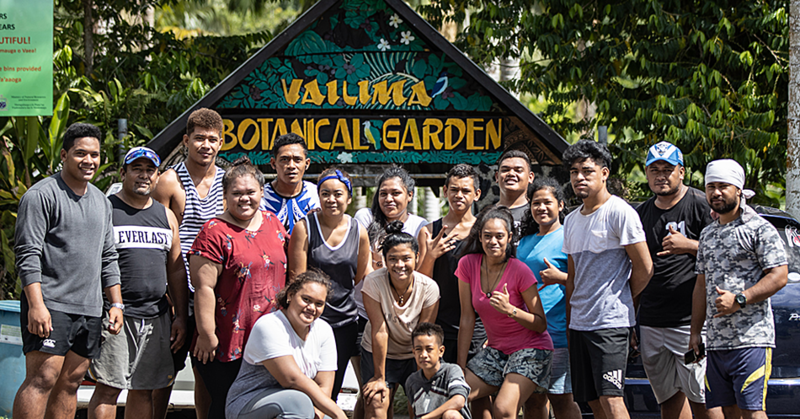 It’s been a long time but it’s very good to connect and see all the changes in Samoa and I see it’s still a beautiful place,” he said. 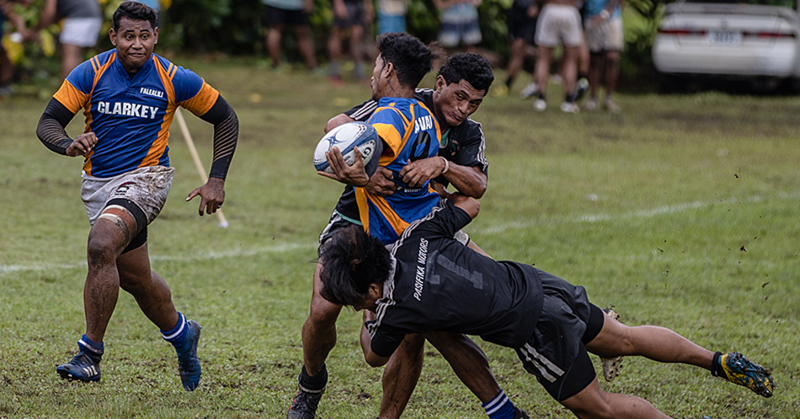 The past five years has seen the rugby union coach rise above a crisis to find an opportunity since being released from the Blues coaching position in 2012 – a year Lam describes as both his worst and his best in his 15-year coaching career. Lam learnt a hard lesson from his first major coaching gig in that a ‘gentleman’s handshake’ is no longer the way to do business. “One of the key things I learnt is that I will never ever take a job without doing an interview. I will never ever do a job where I’m not clear on what their vision is and they aren’t clear on what I do. It was the only job I ever had where I never had an interview, I was just given the job and I just took it. The final year of his Blues coaching contract was one that tested him as he was under intense media scrutiny, criticised strongly and even racially vilified over his team’s dismal performance in the Super Ruby championship. Asked how he came through that crisis unscathed, Lam said he regained his composure when he released control to a ‘higher power’ and found comport in his background as a Christian. “Without a doubt, it was my faith – I could not be a professional coach if I wasn’t a Christian. If I didn’t have my relationship with Jesus… he gives you purpose, he gives you clarity, he puts you through the things that you go through and I’m no different from anyone else. Is the ex-coach of the Blues happy today? He replied with a yes and made reference to his faith in God and having a purpose in life. Grounding himself in his faith, Lam joined Manu Samoa and assisted in their end of season tour in 2012. During that time, he said it was a great experience beating Canada and Wales only to be ‘robbed’ in the game against France, thereby creating a pool of death in the last World Cup to finish seventh overall. “I think that time with the Manu gave me a real insight into Samoa and for rugby, how everyone’s got to be on the same page and everyone working together. While I was over there, that’s where I was offered a chance to go after few contracts and I chose to go to Connacht, Ireland, because I really liked their vision,” he added. Having vision and what you wanted to achieve as a team is an important checklist for Lam and it was what attracted him to the Connacht rugby club in the Republic of Ireland. They had less money and the least amount of international players, but the leap of faith paid off for Lam. “I really liked what they wanted to achieve and they loved what I was going to do and that particular contract I left a clause that I could always help Samoa rugby but unfortunately I wasn’t needed after that tour. I went off and coached Connacht and they had the lowest budget in the Northern hemisphere but what I loved about what we did with them was that we didn’t have stars but we really worked on the team and the skills and playing as a team. After a successful stint with Connacht getting its first major silverware at the 2015-16 Pro12 (Guinness Pro12), he exited the club in 2017 to take up a coaching role at Bristol Bears in the English professional competition. “While I was with Connacht that was when Bristol came over and asked me to come join them but I said until I know what your vision is and what you’re trying to do, which I did enjoy. So I’ve taken this opportunity to go to Bristol and there were six of the Manu Samoa boys there. It’s a good opportunity to grow rugby in the south west part of England,” he said. Lam will spend three years coaching Bristol. Last year, they were in the Championships and got promoted to the premiership this year. “After that who knows? One thing I learnt is that it’s all in God’s hands. He’ll tell you where to go next and I’m enjoying it. I’ve been very blessed to play in successful teams but also very blessed to play in some terrible teams then you look back and you look at the things that make a difference. You got to have a really good game, good culture, and good leadership so where ever I work, it’s important that I look after those three things which are what I do. 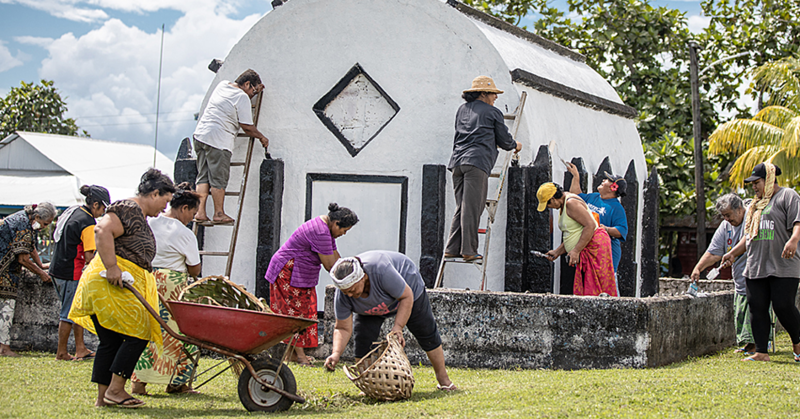 I feel really at peace and loving where I am at the moment, but more importantly I love being here in Samoa with my family,” he said with a smile.